The Park West Foundation has partnered with four museums around the U.S. to promote the joy of art, starting with Dallas’ Museum of Geometric and MADI Art to showcase world-renowned artist Yaacov Agam. 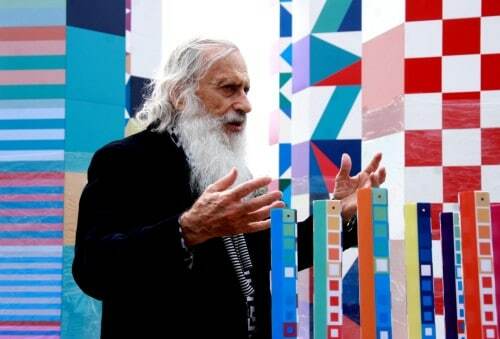 The museum will present “The Magic of Yaacov Agam,” featuring the kinetic artwork of Agam. The exhibition will run from Jan. 28 to April 21, with an opening reception held Jan. 28 at 5:30 p.m. The museum is located at 3109 Carlisle St. in Dallas. Agam will be present at a closing reception on April 21. Agam, 87, is often called the “father of kinetic art” for pioneering the kinetic art movement. This form of art encourages viewers to interact with artworks through movement. The exhibition features a retrospective look at his art as well as the opportunity to view his latest works. The works in this exhibition are owned by and are all part of the Park West Gallery archives. The Park West Foundation aims to promote art education and awareness through a series of museum exhibits in 2016 throughout the United States. Along with the Agam exhibition, the foundation is sponsoring an Autumn de Forest exhibition at the Butler Institute of American Art in Youngstown, Ohio; an Anatole Krasnyansky exhibition at the Museum of Tolerance in Los Angeles; and a Peter Max exhibition at the Tampa Museum of Art in Florida. The Park West Foundation was formed in 2006 by Park West Gallery Founder and CEO Albert Scaglione and his wife, Mitsie. Along with art education, the foundation supports young adults who age out of foster care.